Coq au vin is a classic French dish made up of chicken, bacon, mushrooms and garlic. 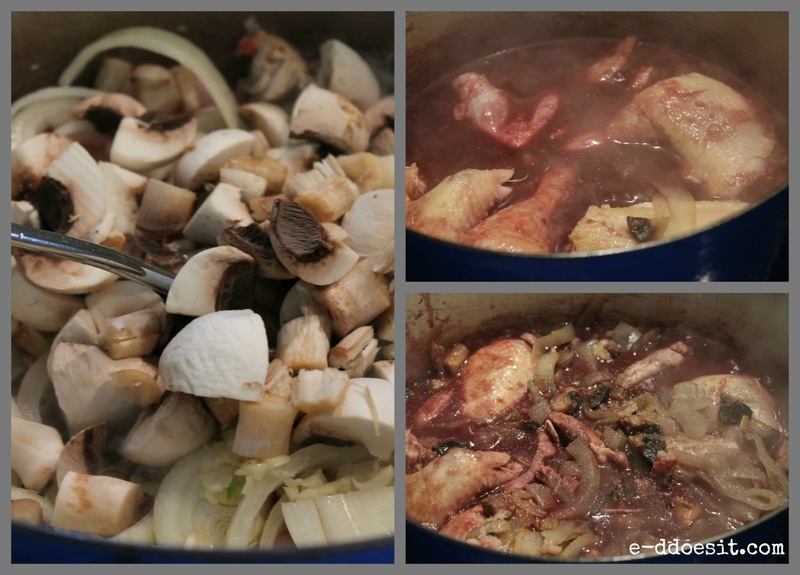 Traditionally Coq au Vin is made with Burgundy red wine however the recipe has evolved over the years and is now made with a variety of red wines. Personally Burgundy is usually a little out of my budget for cooking so whatever is on offer in Aldi or Tesco generally does the job nicely. I absolutely love cooking with a nice red wine, and on this occasion I even put some in! 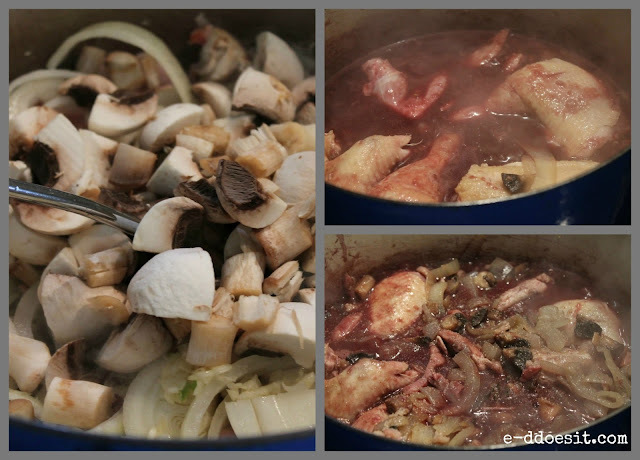 Although I usually associate Coq au Vin as a winter dish but sometimes a heart warming dish like Coq au Vin is welcome on an overcast day when I feel well and truly over worked. This dish is a real comfort food for me. 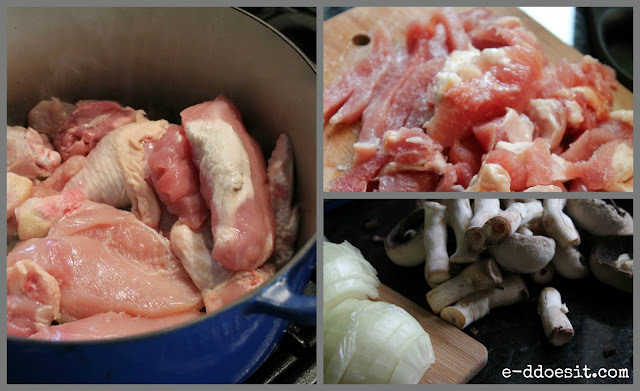 The way the chicken is braised in the wine leaves the meat incredibly tender and full of flavour. This recipe is adapted from one of Mary Berry's recipes. I discovered the recipe last year and really love the flavour combination. Bon Appetit! kitchen paper leaving the juices in the pan. flour, followed by the wine until smooth. for 45 minutes or until the chicken is tender. 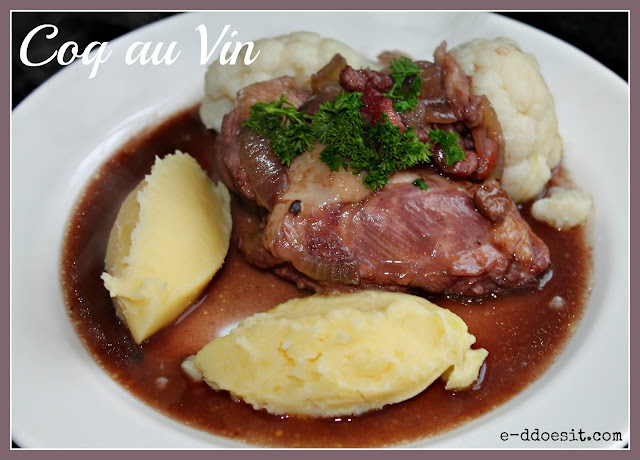 - Coq au Vin is perfect served with creamy mash potato or champ and green vegetables. - This dish is perfect for next days lunch heated up.